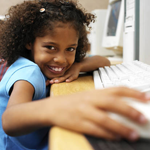 Welcome to A+ Interactive Math Online Homeschool Program! Looking for the FREE Trial? Click here to sign up, once registered come back to this page to log in. Be sure to watch the Demo Here - for ease of use with A+ Interactive Math. Please contact us if you have any questions. We have been serving the homeschool community for over 7 years. We are here to make your family math experience great!